Are You Ready for the Next Age of Crowdfunding? New regulations open the crowdfunding space to small business, a big pool of new investors, and a lot more money. In Part One of our explainer on the government-regulated crowdfunding investment space, we talked about how businesses and investors should navigate the now-regulated crowdfunding landscape. 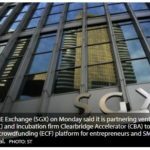 Entrepreneurs and start-ups that have never had access to traditional venture capital funding can now raise up to $1 million through online Regulation Crowdfunding (Reg CF) portals, and middle-class non-accredited investors can contribute 5-10 percent of their income per year in Reg CF offerings, depending on their net worth. But Reg CF is only one side of the equity crowdfunding coin, which also includes something known as Regulation A+ (Reg A+). To start, equity crowdfunding means online investors actually get a stake in the start-up or SMB as opposed to traditional nonprofit crowdfunding platforms like Kickstarter and Indiegogo, which are easy ways to lose your money. Reg CF and Reg A+ are part of the 2012 Jumpstart Our Business Startups (JOBS) Act, which has been reworked and updated over the past several years to address the crowdfunding economy and encourage new forms of protected, regulated start-up and SMB funding and investment. Reg CF is Title III and Reg A+, which went into effect in 2015, is Title IV. "The entire purpose of Regulation Crowdfunding is to allow emerging companies to raise capital faster, cheaper, and more efficiently than ever before, and we are optimistic that over time, this will be prove to be the case," said Darren Marble, CEO of digital marketing agency CrowdfundX. PCMag has a detailed explanation on how Reg A+ works and how accredited Reg A+ portals operate, but the gist is that compared to Reg CF, Reg A+ deals in higher funding amounts that are more tightly regulated. Both regulations deal with unaccredited investors as opposed to traditional VC investors, private equity firms, and hedge funds. But Reg A+ requires full SEC approval of each offering (as opposed to formally notifying the SEC of a Reg CF offering), and two years' worth of audited financial data. Investors also have to self-certify their net worth before they can start putting money down. Reg A+ has two funding tiers: Tier 1 caps the maximum amount a business can raise per year at $20 million and Tier 2 at $50 million. 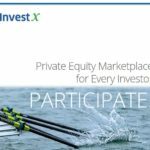 Funding portals must register separately with the SEC and FINRA as expressly Reg CF or Reg A+ marketplaces (though you can be both). There are no limits on how much individuals can invest in Tier 1 offerings, but Tier 2 investments are limited to a maximum of either 10 percent of the investor's net worth or net income, whichever is higher. Rod Turner, founder and CEO of approved Reg A+ crowdfunding portal Manhattan Street Capital (MSC) said Reg CF is more like a traditional seed round, while Reg A+ fills the role of a much heftier Series A, B, or C funding round. There are no restrictions stating a company can't raise a Reg CF round this year, and a Reg A+ round a year or two later. "Title III is essentially seed financing; you don't need wealthy friends and relatives, you don't need access to angel investors," said Turner. "[The regulation] is filling a great need both from companies that had no real chance because of their geography, and for smaller businesses looking to raise an amount too small for VCs or angel investors to consider. With Title III you can be in podunk nowhere and as long as you market your product well and it's appealing to consumers, you can raise capital." MSC measures Reg A+ statistics monthly. Its latest report found that the number of mid-stage companies and mature start-ups adopting Regulation A+ funding is currently at approximately 116, with the aggregate capital of all those intended raises adding up to $1.9 billion, up from $1.2 billion in January. To get a sense of the vast difference in scale between Reg CF and Reg A+, look no further than Mark Cuban. Speaking recently at the Salt Conference, the entrepreneur, investor, and Shark Tank host told attendees at the hedge fund summit that Reg A+ is a huge opportunity to counter Silicon Valley VC culture with a new way for businesses to raise significant capital. "The SEC has Reg A+, which simplifies the paperwork for [a] $25 million or $50 million offering. These rules with Reg A+ have just been crystallized recently and there is a huge opportunity and I've been talking to folks about creating a fund that says the goal is to invest in [a] start-up, but part of the effort is we're going to try to take them public within four to five years," Cuban said, according to The Street. Jeff Koeppel, Of Counsel with the Law Offices of Kirk Halpin & Associates, P.A, advises public and private companies on private equity and debt issuances, corporate governance, contracts, deal structuring, joint ventures, and other corporate and securities matters. He said as this space matures, Regulation Crowdfunding will be particularly helpful to mature small businesses with a financial track record and a solid local presence seeking to raise a small amount of capital. Maybe it's hiring new employees or expanding to new local retail locations, or maybe a manufacturer wants to expand the factory floor or buy new equipment. "These are the folks whose bank line of credit was cancelled in the last financial downturn or who don't want to pay the rate being charged. It may be a local music store, dry cleaner, or even an auto repair shop that just needs a few hundred thousand dollars to open a store in another neighborhood," said Koeppel, who also spent three years at the SEC as a Senior Attorney-Advisor in the Division of Corporation Finance. Koeppel pointed to a British crowdfunding site called Crowdcube as a good example of how this kind of equity crowdfunding should work. Crowdcube took advantage of UK crowdfunding regulations to introduce something called The Burrito Bond, which helped Mexican restaurant chain Chilango expand to more locations in London. The Reg CF-like offering paid investors 8 percent interest over four years, and raised more than £2 million. Crowdcheck CEO Sara Hanks agreed that local small businesses have the most to gain. Crowdcheck is a due diligence, disclosure, and compliance firm for online funding and investment, and Hanks is also a corporate and securities attorney with experience at several law firms as well as the SEC. The firm does due diligence and compliance filing for both Reg CF and Reg A+ offerings. As laid out in Part One, established SMBs may also be in a better position to handle the upfront costs and recurring fees arising from accounting and legal due diligence and financial reviews. "I see Regulation CF as being helpful for 'Main Street' type businesses that find it very hard to get funding, and yet could provide meaningful job growth and economic activity if only they could grow," said Hanks.